Not happy with your current security provider? Switch to ADT and save with our best offer ever! * Requires 36-month monitoring contract. $25 activation fee applies. Early termination fees apply. See important Terms and Pricing below. ** Requires 36-month monitoring contract. No $25 activation fee. Early termination fees apply. See important Terms and Pricing below. New or Resale: Service and installation charges vary depending on system configuration, equipment and services selected. 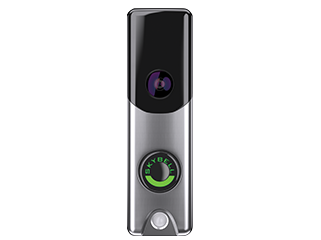 One (1) QOLSYS Panel II (ADT Smart Generation Panel), two (2) door/window contacts, one (1) motion sensor, one (1) Wi-Fi doorbell camera, one (1) Smart Universal Garage door Opener OR one (1) Smart Door lock. All in $0 Installation, $25 activation fee, $49.99 monthly monitoring fee. 36 month term. $25 Activation fee applies 36 month term. Cannot be combined with other promo’s or Retention offers. Cannot be combined with DOA. Valid only for appointments set up from February 4, 2019 to May 5, 2019. Equipment is ADT owned. Includes Quality Service Plan (QSP). QSP is ADT’s Extended Limited Warranty. Upon early termination by Customer, ADT may charge 90% of the monthly service charges due for the balance of the initial contract term. Limit one offer per new ADT customer contract and cannot be combined with other offers or discounts. Offer not applicable to system/services purchased from ADT Authorized Dealer(s). Applicable taxes extra. Local permit fees may be required. Additional charges may apply in areas that require guard response service for municipal alarm verification. System remains property of ADT. Satisfactory credit history required. Offer subject to change. Prices may vary by market. Simulated screen images and photos are for illustrative purposes only. 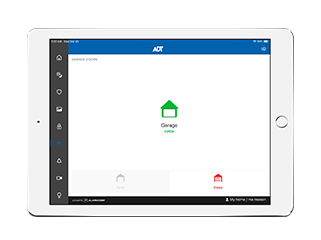 ADT Interactive Services requires the installation and/or activation of an ADT alarm system with monitored burglary service and a compatible computer, cell phone or PDA with internet and e-mail access. Interactive Services does not cover the operation or maintenance of household equipment/systems not connected to the ADT Services/ Equipment. Standard messages and data rates may apply to all text alerts. Switch and Save: Service and installation charges vary depending on system configuration, equipment and services selected. Requires 36-month monitoring contract. $24.99 monthly monitoring fee. $0 install. Panel and 1 keypad replacement if required. No activation fee and $100 bill credit applies. 36 month term. Cannot be combined with other promo’s or Retention offers. Cannot be combined with DOA. Valid only for appointments set up from February 4, 2019 to May 5, 2019. Proof of bill from current provider is required. Switch and Save with Upgrade to Interactive or GSM: Service and installation charges vary depending on system configuration, equipment and services selected. 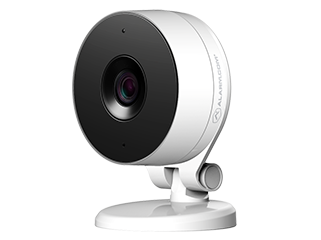 DSC or ADT Smart Sync, one (1) Wi-Fi doorbell camera, one (1) Smart Door lock OR one (1) Smart Universal Garage Door Opener. All in $0 installation, $44.99 monthly monitoring fee. Requires 36-month monitoring contract. $25 Activation fee applies. $5 off monthly fee (regular fee of $49.99 reduced to $44.99). 36 month-term. Cannot be combined with other promo’s or Retention offers. Cannot be combined with DOA. Valid only for appointments set up from February 4, 2019 to May 5, 2019. Proof of bill from current provider is required. We protect more Canadians than any other security company. We’re Canadians serving Canadians with local offices in every major city across the country. With ADT security systems, your home is protected by our network of monitoring centres across Canada 24 hours a day, 7 days a week. Call 888-393-5465 to speak with a security specialist to learn more. Our monitored heat and smoke monitoring detectors help protect your family and your belongings. Carbon monoxide is odorless and colourless. Detectors alert our monitoring centres so agents can contact emergency responders when CO levels are high and dangerous. Be aware of abnormal temperature fluctuations and help prevent damage caused by frost! Do you have a broken pipe or a washer that overflows? Our monitoring centres receive alerts to react quickly. 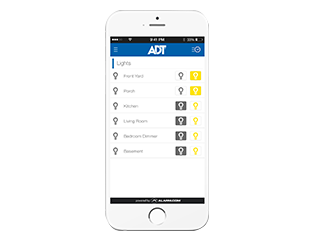 Thanks to ADT Interactive Services advanced technology, it’s simple to control your home from wherever you are. We also offer a vast selection of smart home automation services that respond to your needs: video surveillance, text or email notification of an event, remote door lock and much more. Service and installation charges vary depending on system configuration, equipment and services selected. Requires 36-month monitoring contract. $52.99 monthly monitoring charge (total fees from $1907.64). $0 install (regular install price $1,178.00). 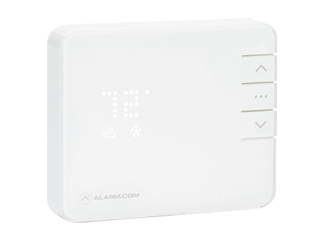 Package includes one (1) ADT Smart Panel, two (2) door/window contacts, one (1) motion detector, one (1) Wi-Fi doorbell, one (1) smoke detector and Guard Response. Valid only for appointments set up from August 23, 2018 to November 23, 2018. Offer expires November 23, 2018 at 11:59 p.m. EST. Equipment is ADT owned. Includes Quality Service Plan (QSP). 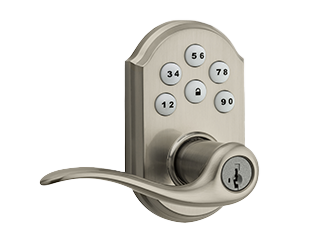 QSP is ADT’s Extended Limited Warranty. Upon early termination by Customer, ADT may charge 90% of the monthly service charges due for the balance of the initial contract term. Limit one offer per new ADT customer contract and cannot be combined with other offers or discounts. Offer not applicable to system/services purchased from ADT Authorized Dealer(s). Does not include $25 activation fee. Applicable taxes extra. Local permit fees may be required. Additional charges may apply in areas that require guard response service for municipal alarm verification. System remains property of ADT. Satisfactory credit history required. Offer subject to change. Prices may vary by market. Simulated screen images and photos are for illustrative purposes only. ADT Interactive Services requires the installation and/or activation of an ADT alarm system with monitored burglary service and a compatible computer, cell phone or PDA with internet and e-mail access. Interactive Services does not cover the operation or maintenance of household equipment/systems not connected to the ADT Services/Equipment. Standard messages and data rates may apply to all text alerts.